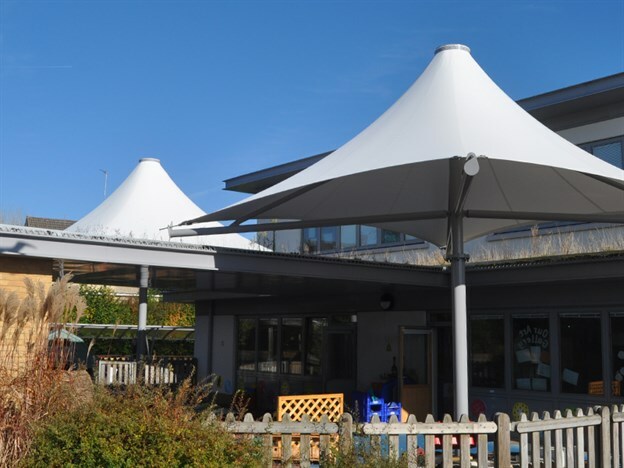 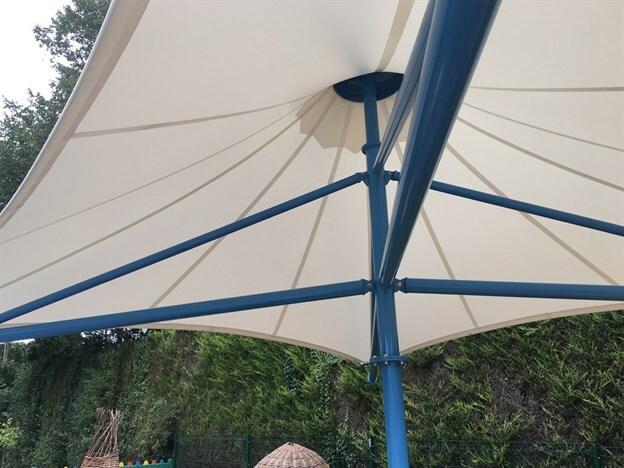 The Corona is one of the most recognisable fabric structures. 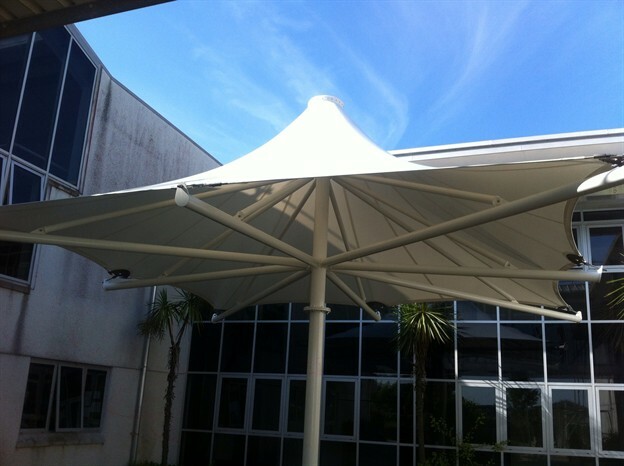 Constructed using a single column this canopy can be centrally located e.g. away from drains, and is ideal for spaces where multiple legs are not possible. 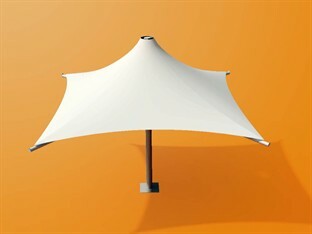 Other colours available upon special request.